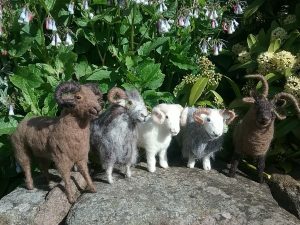 Inspired by the Cheshire countryside I make unique, life size animals and birds, using sculptural needle felt techniques. Using top quality British Rare Breeds wool, British wools. Also range of British Wool Needle Felt Kits for you to make your own felted creatures.